Southern All Stars are perhaps the most successful of all Japan's pop/rock acts. To give you an idea, they re-released 44 singles on the same day in June, 2005. The titles dated from their 1978 debut "Katte ni Sinbad" to 2000's "Tsunami." Every one of them went back into the Oricon charts, and the band basically took over the Top 50. Admittedly the highest ranked was at #18, but it's an impressive feat nonetheless. The extra sales also pushed "Tsunami" to over 3 million in all, making it the third best-selling single ever in Japan. The above feat/marketing stunt was done as part of their 27th anniversary celebrations, which gives you an idea of the band's longevity and staying power. 2005 also saw them play an outdoor summer rock festival for the first time in 22 years and the long-awaited announcement of their first new album of original material in seven years. During that time they had done plenty of live shows and released a slew of singles. Charismatic frontman Kuwata Keisuke had also been doing well as a solo artist. But it is as a live band that they are best loved, and they are regarded as one of the best in the country, largely due to Kuwata's onstage persona. The band's beginnings go back to the mid 1970s, when Kuwata was a student at Aoyama Gakuin University. While in a band called Better Days, he met Sekiguchi and Hara - who would become his wife in 1982. They were soon joined by guitarist Omori Takashi, drummer Matsuda Hiroshi and Nozawa Hideyuki on percussion. Their debut single "Katte ni Sinbad" came out in 1978 and just a year later they released their third single, the smash-hit ballad "Itoshii no Eri," which was later covered by no less an artist than Ray Charles (as "Ellie My Love"). Their lively performances had earned them a reputation as something of a comic band, but this hit marked them out as a group to take seriously. Kuwata is the band's main songwriter. He grew up in the seaside and surfing town of Chigasaki, Kanagawa Prefecture - perhaps growing up there is the reason why so many of their songs are associated with summer and the beach. The band's signature sound has to be Kuwata's distinctive husky voice and unusual singing style. Some say it sounds "foreign," unlike anything that had been heard in Japanese pop. They also play a kind of retro style of music, with lots of hooks and catchy melodies. Their fan base is huge and covers both sexes and all ages. In the autumn of 2005, they launched their biggest nationwide concert tour ever, playing to over half a million people in 11 cities, in support of "Killer Street" their first original album in seven years and an instant chart-topper and million-seller. But in mid-2008 the band announced that once they had completed celebrations of their 30th anniversary in showbiz, they would be taking an indefinite break. This led to media speculation that maybe this time the band was breaking up for good. Whether that turns out to be true or not, it certainly helped sales of anniversary-related releases. 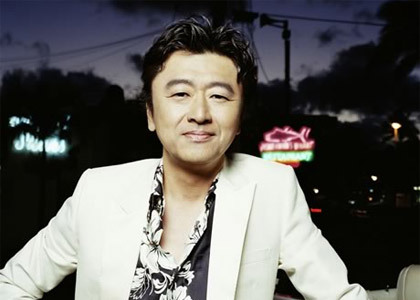 There was more bad news in July 2010, when Amuse announced that Kuwata had been diagnosed with esophageal cancer, which led to the postponement of an album release and concert tour. True professional that he is, Kuwata not only made a quick recovery but was performing again before the year was out. He appeared by satellite hookup on the "Kohaku Uta Gassen" concert on New Year's Eve. January 2011 saw the announcement of a release date for the delayed album, "Musicman." And though he was looking somewhat thinner than before, Kuwata delighted fans by performing live at pre-launch events. There's plenty of life in this old dog yet. The Southern All Stars official website.